Youth work to help troubled youngsters get back on track is to benefit from an £800 donation. The money is from South Kesteven District Councillor Brenda Sumner, who is making the contribution to Trinity Methodist Church in Stamford through her Ward Member Grant. The church, at Barn Hill, employs a youth worker who engages with youngsters across the whole town who need help. Cllr Sumner believes that youngsters have only one chance in life and it is important to help them take full advantage of opportunities open to them. She said: "The youth service is for teenagers or younger children with a range of problems ranging from bereavement to avoiding school, and this outreach service gets right out into the community to help them solve their problems. "The outreach worker aims to get them back to school or back into a proper routine again, to help them in the best way for their particular needs. If parents have problems, he could also help them achieve a solid background to build on." Stamford Methodist Church youth outreach worker Luke Denley said sessions were run at New College Stamford, the church itself - and at its new drop-in centre, The Shack. Luke said: "The Shack is open twice a week at Stamford Recreation Ground, and offers a range of activities for youngsters including pool tables and games consoles. It is a great platform to engage with the young people on Tuesdays and Thursdays between 3pm and 6pm. "It's a great location in the heart of town and gives a safe, informal environment for volunteers to work alongside the youngsters to help them through what can sometimes be difficult and confusing times. "It can offer anything from talking, playing games and having fun, to simply giving the youngsters their own space to be themselves. Donations like this one from Cllr Sumner can make all the difference when it comes to running outreach services to support young people experiencing difficult circumstances." 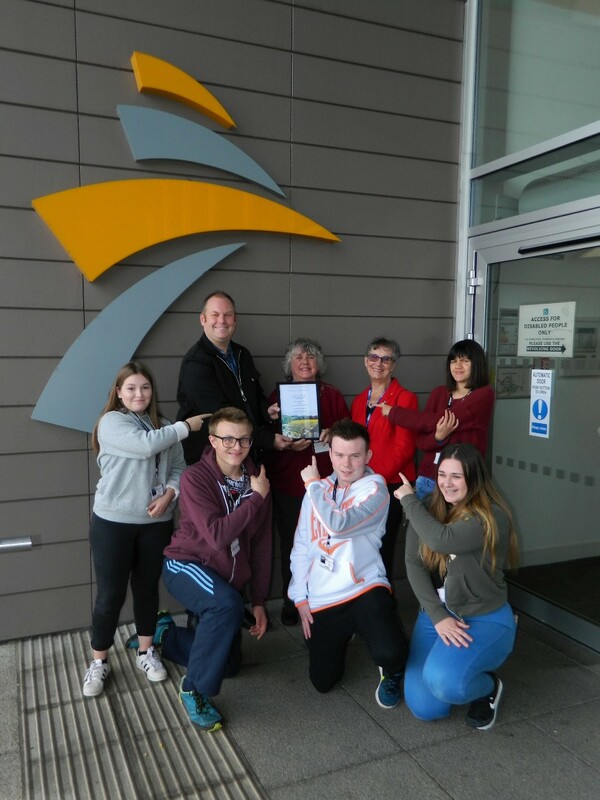 Picture caption:Youth outreach worker Luke Denley with SKDC Cllr Brenda Sumner and church treasurer/secretary Audrey Hensman - surrounded by students from New College Stamford.